The Middle East is being consumed by some of the worst violence in its history, caused by Arabs themselves amidst unprecedented cruelty and destruction. At the rate the fighting is progressing, it is only a matter of time – and not much time – before we start to see tactics involving the bombing of oil and gas fields. It would not require very much for the infrastructures of the states involved in the conflict to collapse and crumble. Without crucial revenues from oil and gas, what would be left behind would be fractured countries with little more than the memories of what could have been. Think Gaza on a larger scale. The oil industries in Syria and Iraq, in particular, are in great danger as fierce fighting continues for control of areas held by the Islamic State. Western companies are finding it excessively dangerous to conduct business in Iraq. Syria, with far less oil, was already hurt by years of sanctions imposed by the United States and Western Europe for its support of terrorism. With that in mind, the oil-rich, South Caucasus country of Azerbaijan could soon find itself playing a very important geopolitical role. Stable Azerbaijan represents more than just a potential secure source of oil and natural gas to keep Europe warm during the cold winter. This former Soviet republic, which is majority Shia Muslim yet highly secular, is taking on more and more importance. It is friendly with the West, but understands the problems of the East. With the exception of some oil- and gas-producing countries of the Arabian Gulf that seem to be weathering the storm so far, the rest of the Middle East is in dire straits. The sort of civil wars being fought today in Syria and Iraq -- as well as in Yemen and Libya -- are the kind of conflicts that take decades for countries to recover from. This is where Azerbaijan, sitting on the fringes of the Arab world, can play a major role. It can help stabilize the region even while selling its oil and gas via some of the most sophisticated network of pipelines ever built. Indeed, Azerbaijan may well end up playing the role that was meant initially for Turkey a decade or two ago. But Turkey got distracted: first, by the near- obsession of former prime minister and now president, Recep Tayyip Erdogan, in joining the European Union. When that failed, he turned his attention to becoming a regional power player in the Middle East. And when that failed, he shifted his focus to Central Asia, where Turkey has cultural and linguistic roots. Azerbaijan could help bridge East and West by bringing moderate Muslims into the fold of emerging democracies. It is the role that Turkey should have carried out but never did; instead, out of frustration, it moved eastwards, closer to the countries of the former Ottoman Empire and away from Europe. 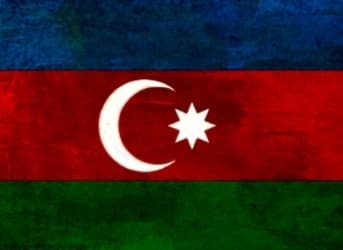 Azerbaijan is one of the few Muslim countries to have not just relations with Israel, but cordial relations, and cooperation agreements in several fields, including the military. Azerbaijan has decent relations with its southern neighbor, Iran, though periodically the security services uncover a terrorist plot aimed at Israel and proceed to make numerous arrests. Inevitably, most, if not all the suspects are Iranians. Baku maintains excellent relations with the United States and Americans are genuinely well received here. At the same time, Baku is able to walk the delicate tightrope required to remain on good terms with both Washington and Moscow. Not an easy feat by any stretch of the imagination. Yet so far, President Ilham Aliyev has demonstrated incredible ability to find the middle ground and remain friendly with the Arab world, Turkey, Iran, Israel, the United States and Russia. He might soon find himself in high demand. Come on Claude.............anyone who uses Google Earth to follow a pipeline understands your wink..! "The best laid plans of....."
...what would the financial domino counter be to your assessment..? thank you Philip for your comment, but i am nut sure i understand what you mean.